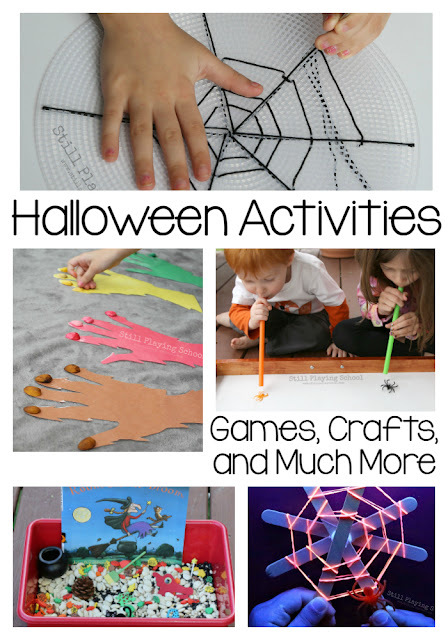 These spooky spider webs are a creative way to craft fine motor fun for Halloween. 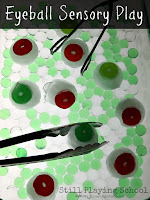 Use them for a color matching activity. 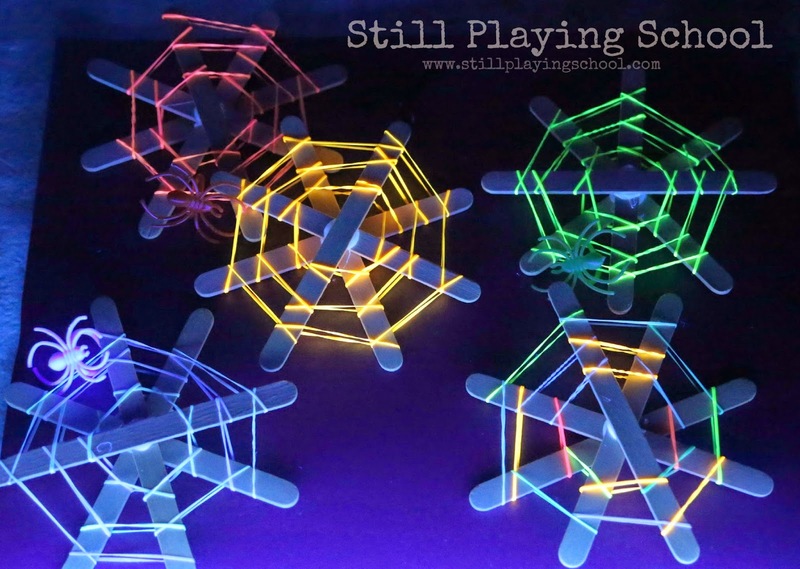 Alternatively you can make and play with these without the black light but we just love kids' activities that glow! 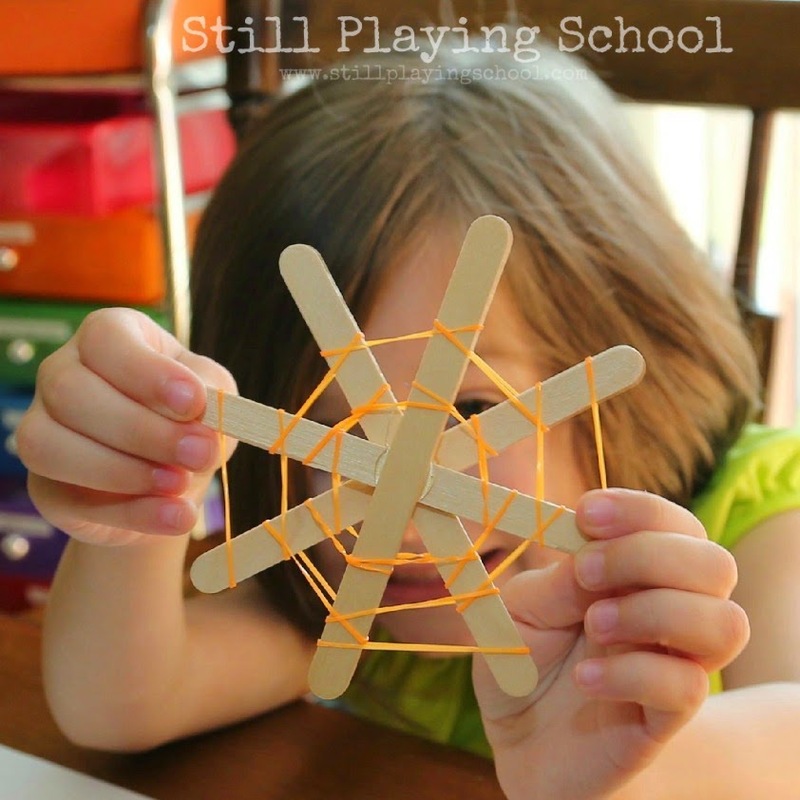 To build our spider web craft we hot glued four wooden craft sticks together. Our preschooler helped by pressing the sticks together and holding them while the glue set. We use a low temperature glue gun so this part also involved her and required fine motor work! Next she sorted the tiny rubber bands by color. We bought ours with hair accessories but you could also use loom bracelet rubber bands. 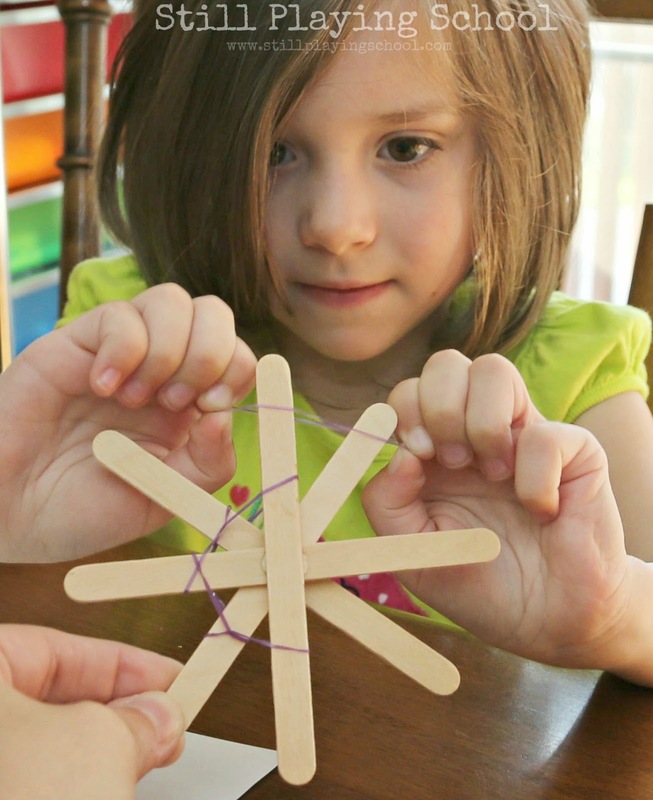 She stretched a rubber band down over two adjacent craft sticks working around in a circle. This is the perfect activity for partners. When it was her turn to hold the sticks she turned them as I put the rubber bands on remarking that it was similar to steering a ship’s helm! Are you ready for the best part? 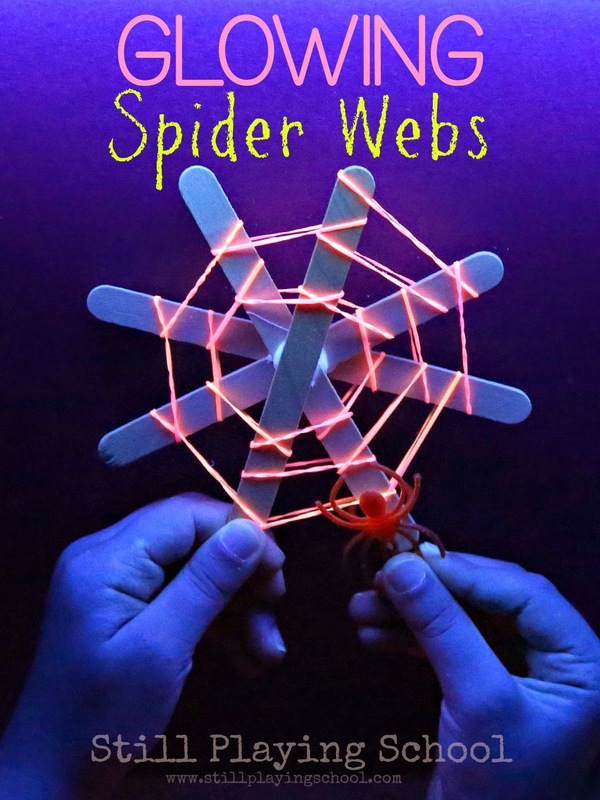 Once the webs were complete we put them under the black light so the webs and spider rings would glow! The final fine motor task was asking our preschooler to match the color of the spider to the web and slip the spider rings on. She also opened the rings to clip them on since the rings we have had a small opening to allow them to fit any size finger. 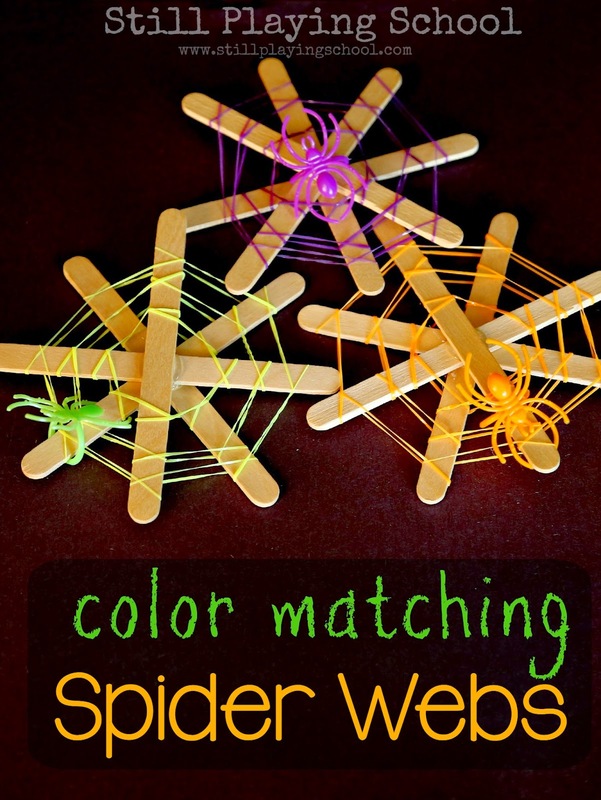 Whether you choose to play with these webs under the black light or not, this is the perfect color matching activity for a classroom party, Halloween busy bag, quiet time activity, or classroom centers. Brilliant! Absolutely brilliant and fun! 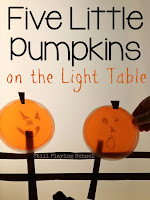 This is a great activity for Halloween! Love them! Wow! 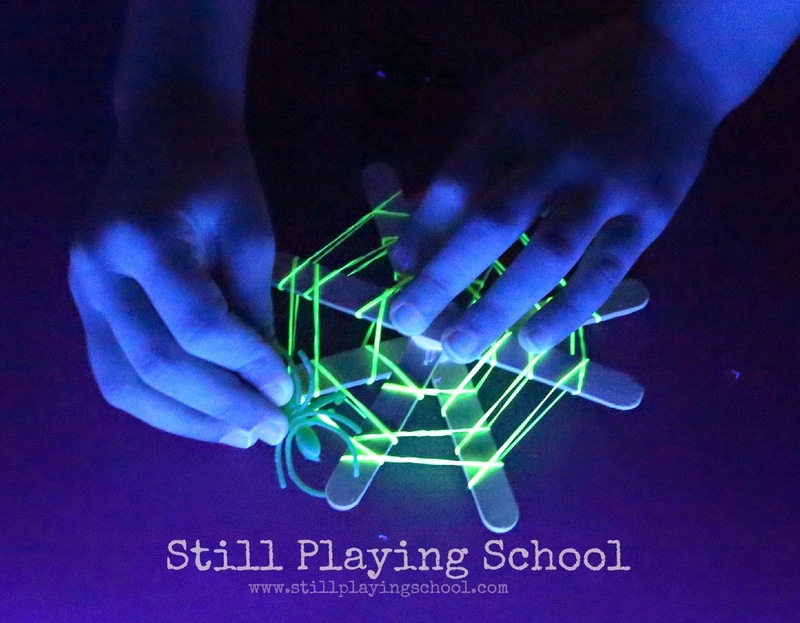 I would've never guessed you used Glow in the Dark Loom bands! I love this idea! So creative! what is a black light? a light bulb that is colored black? I just edited the post above to include links to a black light on Amazon! My preschooler had no problems with them rolling to the middle so your students shouldn't either.